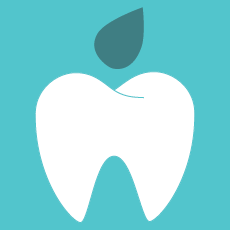 We believe that everyone should be able to enjoy a healthy mouth and have the confidence to smile. To support out patients, we also offer payment and finance options to suit every individual budget. These offer freedom, flexibility and can be built around you, with payments made on a weekly or monthly basis. Get in touch to find out more about treatment fees or payment options. Speak to our team about our Denplan option, where regular affordable, convenient payments cover the cost of certain treatments. This means patients and their families can receive high quality treatment which doesn’t have to impact on the household finances. If other finance options are not suitable for you, we will still make every effort to help you get the treatments you require with a private, individual conversation about your circumstances. We will work with you to design a suitable payment schedule to give you complete peace of mind. We are also an Appointed Representative of Chrysalis Finance Limited, which is authorised by the Financial Conduct Authority to carry out the regulated activity of credit broking. All our finance options are available subject to status and our terms and conditions. Can this finance be used for any treatment? This will depend on the amount you borrow, the interest rate and the term of the loan. Our team will be able to show you, completely without obligation, the schemes we have available for you to pay for your treatment. Our team can help you complete a simple, online application process. This will only take a few minutes. The information is transmitted to the lender immediately and a reply is usually received by return. You can then either sign a credit agreement that we will print for you, or have it emailed for you to complete at home. When can I start the treatment & how do I make repayments? Please get in touch with reception to discuss our treatment fees.